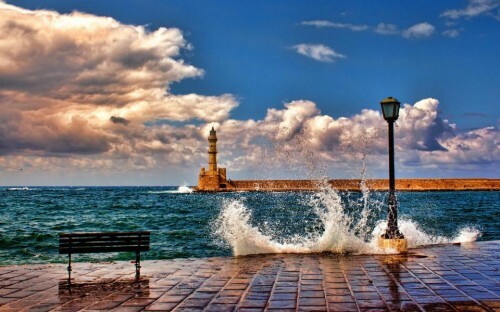 Cheap flights to Crete: Wroclaw-Chania for only €74! Ryanair launched new round of discounted tickets and you can now book very cheap flights to Greek island Crete! 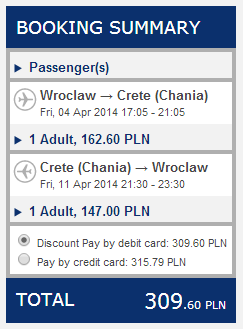 Return flights from Wroclaw to Chania will cost you only €74 / 309 PLN. Wroclaw is easily accessible also from Czech Republic – Polskibus runs direct line between Prague and Wroclaw. Travel dates are mostly in April and May when it’s already great weather in Crete. 10 kg cabin luggage is included, you can pay extra for classic check in luggage. « Cheap flights to France: Prague-Nantes for €59!